It all started several months ago, during a special meeting of the Board of the International Raoul Wallenberg Foundation, which decided to launch a new initiative: to identify and mark physical sites across Europe (mainly churches, convents, monasteries) that served as shelters for the victims of the Nazi persecution and extermination machinery, during the dark days of the Holocaust. In most cases, those who got shelter were children, left by their parents that ended-up in concentration camps. Some were lucky enough to return alive and claim back their children. Others were murdered. 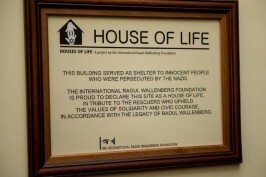 The shelter sites were going to be marked as “Houses of Life”, by means of a commemorative plaque. The idea was to expose their stories, so that tourists, visitors and passers-by would know that those places gave life to people in danger. A special team of researchers (mostly volunteers) was set-up and it started researching the subject. To their great surprise, in a matter of month, more than 100 sites were properly identified throughout many European countries and lately, only in Rome and its suburbs, another 100 convents and monasteries that gave shelter to Jews, were discovered. This amazing revelation has certainly surpassed the most optimistic expectations, converting the “Houses of Life” project into a major strategic initiative which shows that these acts of courage were by no means isolated. So far, the three first ceremonies took place in Italy. 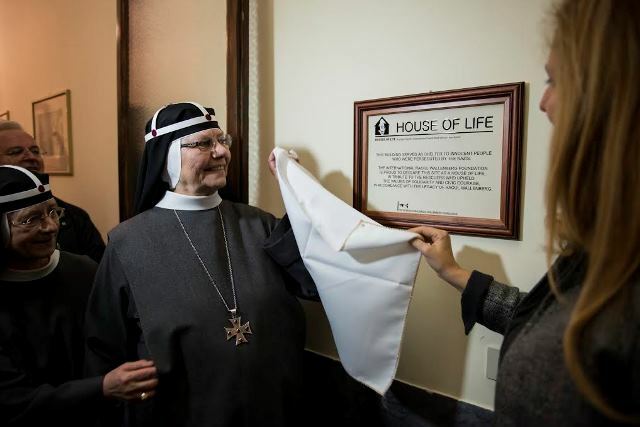 The first one in Florence, at the Casa Santo Nome di Gesu, of the Franciscan sisters. The second one at the Capuchin Curia in Rome and the third one at the Casa di Santa Brigida, in Rome. The Florence convent gave shelter to the children of the Chief Rabbi of Genoa, Riccardo Pacifici. The Casa di Santa Brigida, gave shelter to the Piperno children. 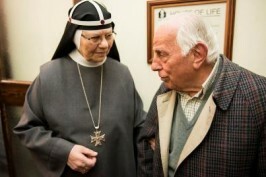 One of them, Piero, is still alive and participated in the ceremony. In the three cases, we have discovered that the religious authorities in those sites not only saved the lives of the Jewish children but also saw to it that they kept their religion. Our team of researchers continues its work with the aim of recognizing more Houses of Life, not only in Italy, but also in France, Poland, Belgium, Hungary, etc. We are not only surprised by the sizable number of Houses of Life, but also in light of the favorable response of the current authorities of those sites, who warmly cooperate with the Wallenberg Foundation, understanding the importance of this project. One of the most prominent Houses of Life is the Church of All Saints in Warsaw, which is located within the perimeter of the Warsaw Ghetto. The Primate Cardinal of Poland and Archbishop of Warsaw, Kazymiers Nycz, has given his blessing to our recognition. The Houses of Life initiative was born as a humble project but has become a major undertaking. The Wallenberg Foundation is proud to be able to shed light on the awe-inspiring feats of the rescuers, instilling their legacies in the hearts and minds of the young generations.